FIR is not an encyclopedia of events. FIR need not be drafted with mathematical accuracy and nicety. Reproduction of all ingredients of offence in the complaint is not required. FIR can be registered on the basis of a Telephonic message. If purpose of Telephonic Message is other than reporting the incidence then FIR cannot be registered. Criminal proceedings may be set in motion even before filing the FIR. Mentioning of a wrong Section or non-mentioning of provisions of law is immaterial. What is material is the cumulative effect of the allegations made in the complaint or the FIR. FIR cannot be quashed on the basis of a provision of arbitration in agreement. FIR cannot be quashed on the ground of falsity of facts mentioned in the FIR. FIR cannot be quashed on the plea of counterblast of complaint lodged by petitioner against the complainant of the new FIR. When a cognizable offence is committed by a person, the aggrieved party or evena stranger can inform about it to the police. After the receipt of information, if the police officer has reason to suspect the commission of an offence to which he is empowered to investigate, such officer is duty bound to register the FIR and start investigation. On October 18, 1990 at 11.30 hours the police party intercepted the respondent at Nagpur Railway Station and conducted his personal search as well as the search of his belongings as also the search of his residential flat at Nagpur. A huge amount of money was recovered pursuant to such search and the said amount along with other articles was seized. After returning to Calcutta on October 20, 1990 the Superintendent of Police, C.B.I. lodged a First Information Report alleging commission of offences punishable under Section 13(2) read with Section 13(1)(e) of the Prevention of Corruption Act, 1988. On the basis of the said report, R.C. Case No. 51 of 1990 (Calcutta) was registered. Feeling aggrieved, the accused filed a revision petition before the High Court of Calcutta challenging the proceeding and sought quashing of the investigation as well as the General Diary Entry No. 681 of October 17, 1990 and the First Information Report lodged by the Superintendent of Police, C.B.I. He also prayed for return of the money and other articles seized from him by the Superintendent of Police, C.B.I. on October 18, 1990. 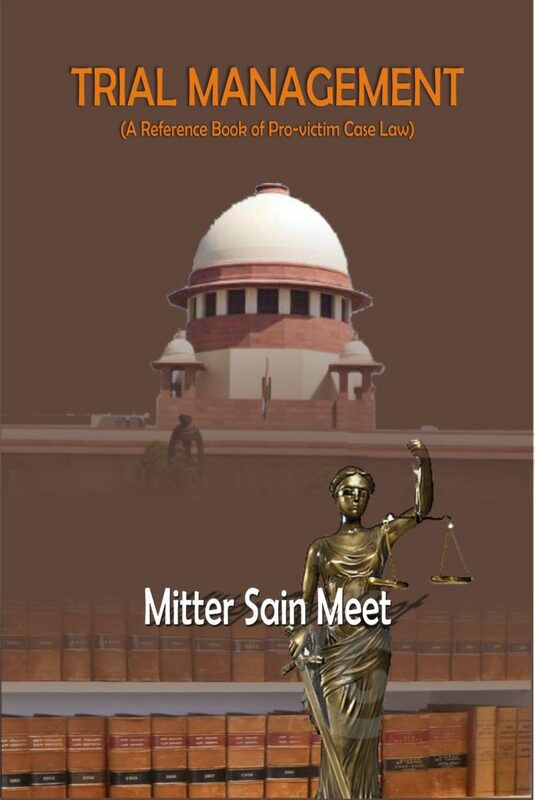 The High Court after considering the submissions urged on behalf of the parties came to the conclusion that the General Diary entry did not disclose the commission of a cognizable offence and, therefore, investigation pursuant to such a General Diary Entry was illegal. The First Information Report which was lodged after investigation was conducted in part was also illegal and consequently no case could be initiated on the basis of such an illegal First Information Report. The High Court allowed the Criminal Revision Petition and quashed the G.D. Entry, the First Information Report as well as the investigation, and directed return of the money and articles seized. Feeling aggrieved, the CBI filed an appeal in the Hon’ble Supreme Court. One contention of the State Counsel was that the information recorded in the G.D. Entry does disclose the commission of a cognizable offence. He submitted that even if the contention that after recording the G.D. Entry only a preliminary enquiry was made, not accepted, he is still entitled to sustain the legality of the investigation on the basis that the G.D. Entry may be treated as a First Information Report, since it disclosed the commission of a cognizable offence. Whether the First Information Report must disclose all facts and details relating to the offence reported? (a) FIR is not an encyclopedia of events. (b) The informant may lodge a report though he may not know the name of the victim or of the assailants. (c) The informant may not even know how the occurrence took place. (d) The Informant may not be an eye-witness to the occurrence. Significance is that the information given must disclose the commission of a cognizable offence. (a) At this stage, the suspicion of the Police Officer that a cognizable offence has been committed is sufficient to lodge the FIR. It is enough if the police officer suspects the commission of a cognizable offence to lodge the FIR. (b) It is not necessary for police officer to satisfy himself about the truthfulness of the information. (c) The police officer is bound to record the information and conduct the investigation. Para “20. It is well settled that a First Information Report is not an encyclopedia, which must disclose all facts and details relating to the offence reported. An informant may lodge a report about the commission of an offence though he may not know the name of the victim or his assailant. He may not even know how the occurrence took place. A first informant need not necessarily be an eyewitness so as to be able to disclose in great details all aspects of the offence committed. What is of significance is that the information given must disclose the commission of a cognizable offence and the information so lodged must provide a basis for the police officer to suspect the commission of a cognizable offence. At this stage it is enough if the police officer on the basis of the information given suspects the commission of a cognizable offence, and not that he must be convinced or satisfied that a cognizable offence has been committed. If he has reasons to suspect on the basis of information received, that a cognizable offence may have been committed, he is bound to record the information and conduct an investigation. At this stage it is also not necessary for him to satisfy himself about the truthfulness of the information. It is only after a complete investigation that he may be able to report on the truthfulness or otherwise of the information. Similarly, even if the information does not furnish all the details, he must find out those details in the course of investigation and collect all the necessary evidence. The information given disclosing the commission of a cognizable offence only sets in motion the investigative machinery, with a view to collect all necessary evidence, and thereafter to take action in accordance with law. The true test is whether the information furnished provides a reason to suspect the commission of an offence, which the concerned police officer is empowered under Section 156 of the Code to investigate. If it does, he has no option but to record the information and proceed to investigate the case either himself or depute any other competent officer to conduct the investigation. The question as to whether the report is true, whether it discloses full details regarding the manner of occurrence, whether the accused is named, and whether there is sufficient evidence to support the allegations are all matters which are alien to the consideration of the question whether the report discloses the commission of a cognizable offence. Even if the information does not give full details regarding these matters, the investigating officer is not absolved of his duty to investigate the case and discover the true facts, if he can. While giving finding of the facts of this case the Hon’ble Supreme Court held that the information received by the S.P. CBI clearly spells out the offence of Section 13 of the P.C. Act. The law does not require the mentioning of all the ingredients of the offence in the FIR. Para “21. In the instant case the information received by the Superintendent of Police, C.B.I. clearly spells out the offence of criminal misconduct under Section 13 of the Prevention of Corruption Act, 1988, inasmuch as there is a clear allegation that the respondent has demanded and accepted a sum of rupees one lakh by way of illegal gratification. The allegation is not as vague and bald as the High Court makes it out to be. There is a further assertion that the respondent is carrying with him the said sum of rupees one lakh and is to board the Gitanjali Express going to Nagpur. The allegation certainly gives rise to a suspicion that a cognizable offence may have been committed by the respondent, which the Superintendent of Police, C.B.I. was empowered to investigate. Therefore, if the Superintendent of Police, C.B.I. proceeded to intercept the respondent and investigate the case, he did only that which he was in law obliged to do. His taking up the investigation, therefore, cannot be faulted. 22.The High Court has also quashed the G.D. Entry and the investigation on the ground that the information did not disclose all the ingredients of the offence, as if the informant is obliged to reproduce the language of the section, which defines “criminal misconduct” in the Prevention of Corruption Act. In our view the law does not require the mentioning of all the ingredients of the offence in the First Information Report. It is only after a complete investigation that it may be possible to say whether any offence is made out on the basis of evidence collected by the investigating agency. The original complaints were filed by the Factories Inspector, Adipur on the basis of his visit and inspection to the Factory of the Company situated at Kandla Free Trade Zone, Gandhi-dham. Accused was the Vice-Chairman of the company and at the material time the ‘occupier’ under the Factories Act, 1948. The allegations in the complaint were that adult workers were found working after prescribed working hours in violation of S. 63 of Factories Act, that form No. 14 displayed in factory’s premises did not contain name of said workers as regards working hours that during visit of complainant factory Inspector said workers were working on overtime. Requirement that worker must know his daily placement was not complied with. Entries of periods of work for adults were not made before hand. The accused committed an offence under S. 63 read with Ss. 61, 62 of Act. The accused filed criminal revision petition in the High Court for quashing the complaint. The High Court dismissed the petition. Feeling aggrieved, the accused/appellant filed an appeal in the Hon’ble Supreme Court. One contention of the accused was that requirements of Section 61 & 63 of the Factories Act and Section 110 of the Gujarat Factories Rules were complied with. The complaint is vague. The offences committed by the accused have not been mentioned in it. In the absence of specific allegations the complaint is not maintainable. Whether the complaint should be drafted with mathematical accuracy and nicety? The Hon’ble Supreme Court held that FIR need not be drafted with mathematical accuracy and nicety. While giving finding on the facts of this case, the Hon’ble Supreme Court held that whether the requirements of entries in Form No.14 were complied with or not, requires scrutiny. That scrutiny cannot be made by the Supreme Court at that stage. It is to be adjudicated by the Trial Court. Therefore, the complaint is not fit for the quashing of the initial stage. Para “19. ….. We have in the complaint a statement that Form No.14 does not stand completed. We have also in the complaint the number of working hours on a day but the requirement of Form No.14, the inspector alleges, does not stand fulfilled. It is too early at this stage, however, to contend that the aforesaid statement does not stand to reason and the complaint needs to be quashed at this stage of the proceeding. 2o. The statute, however, in particular Section 61 specifically requires entries to be made ‘beforehand’ which stands virtually engrafted in Section 63. Compliance with Form No.28 is not in dispute but compliance with Form No.14 and entries to be made therein ‘beforehand’ needs a further scrutiny of facts which at this stage of the proceeding cannot be gone into. User of the expression ‘before hand’ appears in Section 61 which envisages a specific state of facts, which the complainant alleges as not being complied with – criminal complaints ought not to be scuttled at the initial stages and quashing of complaint at the initial stages is rather an exception than a rule. Beneficial legislations have been engrafted on the statute book for the benefit of the socially down-trodden and on the wake of such a situation, it would neither be fair nor be reasonable at this stage to nullify the efforts of an inspector under the Rules. The matter needs further enquiry and investigation as to the factum of entry being made before hand in the register maintained in terms of Section 61 of the Factories Act. It is too early in the day to say that there would not be even a possibility of non- compliance of Section 63 which in turn envisages non-compliance of Section 61 and Section 62 of the Factories Act. A long catena of cases some of which stand referred by us hereinbefore in this judgment signifies one principle rule that the complaints ought not to be quashed at the initial stages unless it is termed to be an abuse of the process of the Court, the complaint in question in our view, cannot be so termed as such we do not find any justification for interference with the order as passed by the High Court. iii) Reproduction of all ingredients of offence in the complaint are not required. The complainant belonged to a company (M/s. Passion Apparel Private Limited) which manufacture and export readymade garments. On 15-11-1994 fifth accused (Gagan Kishore Srivastava) Managing Director of M/s. Avren Junge Mode Gumbh Haus Der Model approached the complainant for purchase of readymade garments of various kinds and induced the complainant to believe that 5th respondent would pay the price of the said goods on receiving the invoice. Such payment was promised to be made within fifteen days from the date of invoice of the goods which complainant would despatch to Germany. Complainant believed the aforesaid representation as true and on that belief he despatched goods worth 4,46,597.25 D.M. (Deutsch Marks). In March/ April, 1995 accused on receipt of 37 different invoices got the goods released and sold them to others. The accused paid only a sum of 1,15,194 D.M. Complainant further alleged in the complaint that accused induced him to believe that he is a genuine dealer, but actually his intentions were not clear. Complainant also mentioned in the complaint that one of the representatives of appellant’s company went to Germany in October, 1995 for realising the amount on the strength of an understanding reached between them that accused would pay 2,00,000 D.M. in lieu of the remaining part of the price. However, the accused did not honour even that subsequent understanding. Complainant further mentioned in the complaint that he came to know later about the modus operandi which accused adopted in regard to certain other manufacturers who too were duped by the respondent to the tune of rupees ten crores. The accused filed a revision petition in the High Court with the prayer for the quashing of the FIR. The High Court quashed the proceedings mainly on the ground that the complaint did not disclose the offence. Feeling aggrieved, the complainant filed an appeal in the Hon’ble Supreme Court. One contention of the appellant was that factual foundation for the offence has been laid in the complaint. All the ingredients of the offence are not necessarily to be reproduced in the complaint. Whether it is necessary that complaint should disclose all the ingredients of the offence alleged in the complaint? The Hon’ble Supreme Court held that re-production of all ingredients of offence in the complaint is not necessary. While giving finding on the fact of this case, the Hon’ble Supreme Court held that the averments in the complaint make out a case for investigation by the authorities. Para “11. The crux of the postulate is the intention of the person who induces the victim of his representation and not the nature of the transaction which would become decisive in discerning whether there was commission of offence or not. The complainant has stated in the body of the complaint that he was induced to believe that respondent would honour payment on receipt of invoices, and that the complainant realised later that the intentions of the respondent were not clear. He also mentioned that respondent after receiving the goods have sold them to others and still he did not pay the money. Such averments would prima facie make out a case for investigation by the authorities. 2. (a) FIR can be registered on the basis of a Telephonic message, if it discloses the commission of a cognizable offence. Its signing by the complainant is not necessary. However, a cryptic telephonic message cannot constitute an FIR. The deceased Mallesha was the elder brother of the accused and deceased Yogisha was the son of Mallesha. Gurumurthy (PW1) was another son of deceased Mallesha. There was a dispute between Mallesha and the accused in respect of the kharab land situated in between the lands of the accused deceased Mallesha. On the date of the incident Gurumurthy, deceased Mallesha, and deceased Yogisha had gone to that kharab land and had put up a fence. The accused was the licence holder of S.B.B.L. gun. On 4-8-91 at about 5 p.m. Gurumurthy, Mallesha and Yogisha were returning after putting a fence around the kharab land and on the way the accused suddenly appeared and fired at Mallesha causing injuries resulting in his death and he also fired at Yogisha causing him gun shot injury. When Yogisha managed to hide behind a bush to save himself, the accused picked up a ‘machu’ fallen down on the ground by the side of Mallesha and dealt blows with it on the head, right shoulder and on the right thigh resulting in his death. Gurumurthy ran for his life and escaped from the place of incident. He came to his house and informed about the incident to his mother Rukminiyamma and his uncle Ananda. He also informed facts of the offence to the S.H.O. on phone. The S.H.O came to Kamanahalli after noting down the phone message that he received from Gurumurthy in the station house diary. He visited the scene of offence and saw the dead bodies. Gurumurthy prepared his complaint and came to the police station and presented his written complaint to the P.S.I. The P.S.I. registered the complaint. After completion of the investigation, police filed charge-sheet in the Court. The Trial Judge convicted the accused and awarded death sentence. Feeling aggrieve, the accused filed an appeal in the High Court. It was heard by a Division Bench. One contention of the accused was that the police had moved into action after the receipt of the telephone message. It disclosed the commission of a cognizable offence. It should be treated as an FIR. The original FIR was recorded later on and therefore, it was hit by Section 162 Cr.P.C. Whether an FIR on the basis of a telephonic message disclosing commission of an offence can be registered? Whether its signing by the complainant is mandatory? (a) A cryptic telephonic message cannot constitute an FIR. (c) A telephonic message giving only information that an injured person is lying cannot become a basis for the registration of the FIR. FIR can be registered on the basis of a telephonic message if it discloses the particulars required by Section 154 Cr.P.C about the commission of a cognizable offence. Bearing of signature of the informant is not necessary. After examining the contents of the telephonic message, the Hon’ble High Court held that it disclosed the commission of a cognizable offence. Therefore, it was an FIR. The accused Hargovind was trying to forcibly take over the land of the deceased and Ramesh, an eye-witness. He was also threatening them that he would cut their hands and legs. Sometimes before the incident the cattle of Sunil Kumar and Hargovind had damaged the standing crops of the deceased and Ramesh. When Ramesh protested a quarrel ensued in course of which he was beaten up with shoes by Hargovind and accused Rafu alias Rafiq. On January 15, 1981 Hargovind and Rafu made an attempt to kill the deceased and Ramesh but failed. Over that incident Ramesh lodged a complaint with the police station. Again on May 30, 1981 Ramesh found that Hargovind had brought the other three accused, who were all residents of Uttar Pradesh, to their village and apprehending that Hargovind might get them killed, the two brothers lodged a written report before the Superintendent of Police, Narsinghapur on June 13, 1981 seeking protection of their lives and properties. The police however did not attend to their complaints. On July 30, 1981 at or about 9 a.m. the deceased and Ramesh went to their field for measuring the work done by their labourers as that was the day for payment to them. After the measurements, at out about 10.30 a.m. they were returning home to fetch money for payment to those labourers. On the way when they reached the lane in between the fields of Chhotelal Sahu and Dalchand, five accused came from bohind.Of them, Sunil Kumar and Suresh were carrying lathis, Hargovind a hockey stick and Nazim and Rafiq axes. Hargovind first gave a lathi blow on the head of Ramesh and he fell down. Thereafter Rafu and Nazim hacked him with their axis severing his left arm and left foot. All of them then attacked the deceased with their respective weapons in a similar fashion, severing his right hand and right foot. Then they filed away. On hearing the cries of the victims, the labourers, who were working in the field of Ramesh, came to the spot and seeing their condition rushed to their house to inform Imratibai Amrawati, mother of Ramesh and the deceased. On getting the information Amrawati hurried to the spot and heard about the incident from Ramesh. Dayashankar had, in the meantime, succumbed to his injuries. Yogendra Kumar a nephew of the deceased and Ramesh, and some other residents of the village also reached there, Ramesh narrated the incident to them. Yogendra Kumar then went to the village Post Office and reported the incident to the police over telephone. On getting the information, inspector V.K. Saxena came to the site of the incident accompanied by Sub Inspector Mithilesh Tiwari and other Police personnel. Reaching there, he recorded the complaint of Ramesh and forwarded it to the police station for registering a case. The Trial Court acquitted all the accused. In an appeal the High Court set aside the judgment of the Trial Court and convicted them for the offence of murder. One contention of the accused was that the information given by Yogendra Kumar was information regarding the commission of a cognizable offence. It was to be treated as FIR. The names of the accused were not mentioned in the telephonic message, therefore, the later version mentioned in the FIR was a concocted one. The accused were not the culprits and were entitled to acquittal. Whether entry made in the Daily Dairy Register on the basis of a telephonic message, which discloses the commission of a cognizable offence can be treated as an FIR? The Hon’ble Supreme Court held that though in the telephonic message, the names of the accused were not mentioned; even then it was an FIR as it disclosed the commission of a cognizable offence. The Hon’ble Supreme Court further held that even after treating the telephonic message as FIR and the statement of Ramesh as statement recorded u/s 161 Cr.P.C, the merits of the case are not affected. Para “20. ……. The statement of Ramesh (Ext. P.2) which was recorded by him in course of the investigation is to be treated as one recorded under Section 161, Cr. P.C. This conclusion of ours, however, does not in any way affect the merits of the prosecution case for we find that immediately after PW 1 was taken to the hospital his statement was recorded by a recorded as a dying declaration which, consequent upon his survival, is to be treated only as a statement recorded under Section 164, Cr. P. C. and can be used for corroboration or contradiction. This statement recorded by the Magistrate at the earliest available opportunity clearly discloses the substratum of the prosecution case including the names of the appellants as the assailants and there is not an iota of materials on record to show that this was the upshot of his tutoring. On the contrary, this statement was made at a point of time when PW 1 was in a critical condition and it is difficult to believe that he would falsely implicate the appellants leaving aside the real culprits. The accused Ashok Kumar (A-1) was owner of house No. 138 in Sector 35, Chandigarh which was converted into a guest house known as “Friends Guest House”. Thaman Kumar (A-2) and Rajesh Singh (A-3) were employed as servants in the aforesaid guest house. The deceased Bhanwar Singh was a rickshaw puller and he used to bring customers to the guest house for which Ashok Kumar (A-1) used to pay him commission. Sometimes he used to sleep in the garage of the guest house. 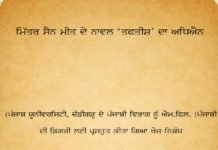 A considerable amount towards commission had fallen due regarding which he made a demand in the night of 23-12-1989 and a dispute took place. At about 12.30 p.m. on the night, A-2 and A-3 strangulated Bhanwar Singh by tying a chadar which had been rolled in the shape of a rope around his neck and pulling it from the two ends. At that time, A-1 sat over the chest of the deceased and had caught his both the hands firmly so that he may not be in a position to offer any resistance. Constables Ram Mehar and Suresh Kumar, who had been assigned parole duty in Sector 35, were passing in front of house No. 138 and heard shrieks raised by deceased Bhanwar Singh. They entered the house after opening the front gate and saw the incident happening in the garage in which electric light was on and the doors were slightly open. They caught hold of A-2 and A-3 on the spot but A-1 managed to escape by scaling the rear boundary wall. Suresh Kumar then gave information about the incident at about 1.05 hours to Police Post in Sector 36 by telephone. He requested the In-charge of the police station to send the force at the scene of occurrence. Surender Kumar, SI, then came to the spot, took stock of the situation and recorded the statement of Constable, Ram Mehar. FIR was registered. Accused were arrested. After completion of investigation the charge-sheet was filed. The Sessions Judge disbelieved the case of the prosecution on the ground that the names of the assailants were not mentioned in the first telephonic message; therefore, their participation in the commission of crime is doubtful, Trial Court acquitted all the three accused. Feeling aggrieved, the State of Union Territory at Chandigarh preferred an appeal. The appeal was allowed by the High Court and all three accused were convicted. Feeling aggrieved, accused filed an appeal in the Hon’ble Supreme Court. One contention of the accused was that first telephone message was given to the police post at 01.05 a.m. In that message, the names of the assailants were not mentioned. In fact, it was to be treated as an FIR. As the names were missing in the FIR, the participation of the accused in the commission of murder became doubtful. Whether a telephonic message not narrating the commission of a crime but only making a request for sending police force to the place of occurrence can be treated as an FIR? The Hon’ble Supreme Court held that telephonic message not narrating the commission of a crime but only making a request of sending police force to the place of occurrence cannot be treated as an FIR. The Hon’ble Supreme Court held that in the telephonic message the concerned constable made a request to the In-charge of the police post for sending police force. In compliance with that request the In-charge of the police post made an entry in the Daily Diary Register regarding his departure to the scene of occurrence and left the police post. This telephonic message cannot be treated as an FIR. The deceased Abu Bakkar was the husband of the informant Sahara Begum. The deceased had amorous relationship with the 1st wife of the accused Sadre Alam Mullick. On 30- 8-1981 at about 9.00 p.m. after taking the night meal deceased Abu Bakkar came out of his house. The accused, with the help of the other accused forcibly abducted him in presence of the informant and took him to his house. The informant called her brothersin- law and the father-in-law. The brothers-in-law went to the house of the accused and found that deceased was being assaulted with sharp cutting weapon. On being afraid they could not interfere and silently they came back and reported the incident to the informant. The informant raised alarm. At the same time she heard the sound of two firings. The villagers also were attracted and they went to the house of the accused where they also found the dead body of Abu Bakkar with multiple bleeding injuries on his person lying on the ground. Another important aspect of the case was that on 31-8-1981 at about 6.30 a.m., one of the accused viz. Aminual Haque called at the police station, Indus and informed that when a burglary was being committed in the house of the accused Sadre Alam Mullick on the previous night, the owner of the house assaulted the thief with a cuttery and the thief expired as a result. On the basis of this information Case No. 18 dated 31- 8-81 was registered, under Sections 457/380/307 and 511 of the Indian Penal Code. On the basis of that information when the police reached the village, they found the dead body of Abu Bakkar lying in the house of the accused Sadre Alam Mullick. They also recorded the statement of the widow of the deceased on the spot which was treated as First Information Report. The formal FIR was drawn up on its basis starting Case No. 19 dated 31-8-81. Ultimately, Case No. 18 dated 31-8-81 ended in a final report with the prayer for starting a case against the informant under Section 211 of the I.P.C. and Case No. 19 dated 31-8-81 ended in charge-sheet against five accused persons under Sections 364/ 34 and 302/34 of the I.P.C. The Trial Court only convicted accused A1 Sadre Alam Mullic U/s 302 IPC. All other accused were acquitted. Feeling aggrieved, accused filed an appeal in the Hon’ble Calcutta High Court. One contention of the Defence Counsel was that originally, FIR no.18 dated 31.08.1981 was registered. Later on, it was cancelled. Before the registration of FIR no.19 dated 31.08.1981, the investigation in case no.19 was started. Before registering an FIR, police cannot initiate criminal investigation. Whether FIR is a condition precident for setting in motion of criminal investigation? The Hon’ble Calcutta High Court held that FIR is not a condition precident for setting in motion of criminal proceedings. Sugnia Devi was the victim who was killed on the night of 27-6-1988. About 10 years prior to her death she was married to Ram Jatan Choudhary, one of the four sons of the accused Sita Devi. She remained childless. On the day which followed her death Sita Devi lodged an FIR with Babu Barhi Police Station alleging that a few persons from outside had sneaked into the bedroom of Sugnia Devi and murdered her by strangulation. FIR No. 135 was registered on the basis of the said complaint and investigation was commenced thereafter.During the progress of investigation the police formed an opinion that the murder of Sugnia Devi had taken place in a manner totally different from the version furnished by the mother-in-law Sita Devi in the FIR. Police found that the murder was committed pursuant to a conspiracy hatched by her mother-in-law Sita Devi and her other daughtersin- law besides others. The police sent a report to the Court on 30-11-1998 stating that the allegations in FIR No. 135 were false. Police continued with the investigation after informing the Court that they have registered another FIR as FIR No. 208/98. Sita Devi filed a protest complaint before the Chief Judicial Magistrate alleging that the police report dated 30-11-1998 is wholly unsustainable and reiterated that the persons arrayed in FIR No. 135 are the real culprit. The Chief Judicial Magistrate rejected the protest complaint as per his order dated 28-8-1999. Sita Devi challenged the said order in a revision filed before the High Court. The said revision was allowed on 7-2-2000 and the Chief Judicial Magistrate was directed to conduct an inquiry under Section 202 of the Code of Criminal Procedure. The police proceeded with the investigation. They finally concluded the investigation and filed a charge-sheet on 31-3-2000. In the said charge-sheet accused Sita Devi, her two other daughters-in-law, her son Ram Ashish Choudhary and a few others were arraigned for the offence under Section 302 read with Section 34 of the IPC. The Chief Judicial Magistrate before whom the charge-sheet was laid committed the said case to the Court of Sessions. Thereafter, the Sessions Judge framed a charge against the accused so arraigned for the aforesaid offence. In the meanwhile, the Sita Devi moved the High Court once again for quashing the criminal proceedings lodged against her and others. A single Judge of the High Court of Patna upheld her contention and quashed the criminal proceedings as per the impugned judgment. Thus, Sita Devi and other accused were totally absolved from the murder charge even without conducting any trial into the said case. That order of the High Court was challenged in the Hon’ble Supreme Court. One contention of the accused was that the order of the Magistrate, accepting the final report in FIR No.135, was quashed. Hence a second final report cannot be filed by the police albeit against other accused. It was also contended that there cannot be two FIRs against the same occurrence. Whether two FIRs can be registered in respect of one occurrence? Whether after cancelling one FIR, police can continue investigation to trace out the real culprits? Whether after filing final report in respect of one FIR, can police file a chargesheet regarding the second FIR? FIRs may be registered and investigated. continue the investigation to find out the real culprits. Para “10. The result of the said factual development is this. The complainant Sita Devi in FIR No. 135 is allowed to persist with her complaint despite the conclusion reached by the police that the said complaint was false. But that course adopted by the Court cannot disable the police to continue to investigate into the offence of murder of Sugnia Devi and to reach the final conclusion regarding the real culprit of her murder. The police completed their investigation only when the charge-sheet was finally laid on 31-3-2000 against the first respondent Sita Devi and others. The said case has to be legally adjudicated for which a trial by the Sessions Court is indispensable. Learned counsel adopted an alternative contention that once the proceeding initiated under FIR No. 135 ended in a final report the police had no authority to register a second FIR and number it as FIR 208. Of course the legal position is that there cannot be two FIRs against the same accused in respect of the same case. But when there are rival versions in respect of the same episode, they would normally take the shape of two different FIRs and investigation can be carried on under both of them by the same investigating agency. Even that apart, the report submitted by the Court styling it is as FIR No. 208 of 1998 need be considered as an information submitted to the Court regarding the new discovery made by the police during investigation that persons not named in FIR No. 135 are the real culprits. To quash the said proceeding merely on the ground that final report had been laid in FIR No. 135 is, to say the least, too technical. The ultimate object of every investigation is to find out whether the offences alleged have been committed and, if so who have committed it. 5. Mentioning of a wrong Section or non-mentioning of provisions of law is immaterial. What is material is the cumulative effect of the allegations made in the complaint or the FIR? FIR No. 211 dated 7-10-99 was registered for the offences under S. 6A/9B of the Explosives Act and Section 286, I.P.C. at police station Abohar. The accusation against the petitioners was that the accused kept articles of fireworks in large quantity without licence. Under Section 4(1) of the Act, explosives include the fireworks also. Section 5 authorizes the Central Government to make rules regulating and prohibiting the manufacture and possession of explosives except under and in accordance with the conditions of the licence granted. Section 6 also empowers the Central Government to frame rules prohibiting the possession of explosives. Section 9B of the Act makes any contravention of the rules made under S. 5 or of the conditions of licence granted, punishable. According to the petitioner the allegations in the FIR do not constitute the offence under Section 6A/9B of the Explosives Act and also under Section 286, I.P.C. Whether FIR can be quashed merely on the ground that a wrong Section has been mentioned in it? The deceased, K. Tirupathi was working as an Attendant in Sahiti Junior College, Parkal. The deceased committed theft of a cheque for Rs. 10,000-00 and presented the same in State Bank of Hyderabad and withdrew the amount. On 19-6-1998 the matter came to the notice of the management and an inquiry was held. The management obtained the specimen signature and handwriting for the purposes of comparison with the writing found on the cheque. On comparison, it was found that the deceased had committed theft of the cheque for Rs. 10,000/-. Therefore, the management asked the deceased to pay the said amount in instalments. The deceased did not agree with the proposal and the management gave a report to the Police. The deceased, having come to know about reporting of the matter to the Police committed suicide by consuming pesticide on the morning of 26-6-1998. On 27-6-1998, father of the deceased, Kashamalla Yellaiah lodged a complaint against the accused and three others alleging that the accused made false allegations against the deceased and in that process harassed him mentally. On account of such unbearable harassment, his son committed suicide by consuming pesticide by writing reasons on the blackboard of the College and also leaving a death note addressed to the Press Reporters. His son was admitted into a private hospital and during the course of treatment he died. The complainant accordingly prayed for taking appropriate action against the accused, which were responsible for mental harassment of his son and drove him to commit suicide. The S.I. of Police, Parkal, accordingly registered the case under Section 306, IPC and S. 3(i) (x) of the Prevention of Atrocities Act. The accused filed an application U/s 438 Cr.P.C. for the grant of anticipatory bail. For offences punishable under Prevention of Atrocities Act, anticipatory bail is not permissible. Plea of the accused was that no specific allegation of atrocity was mentioned in the FIR. Mere mentioning the provision of law U/s 3 (i) (x) of the Prevention of Atrocities Act would not be enough to exclude the application under Section 438 of Cr.P.C. Whether mere mentioning of the provisions of Prevention of Atrocities Act in the FIR would exclude the operation of S. 438 of the Code? The Hon’ble Andhra Pradesh High Court held that mere mentioning or non-mentioning the provisions of law in the FIR/complaint is of no consequence. The crucial question is whether the cumulative effect of the contents of the FIR/complaint attracts the commission of an offence enumerated in the Prevention of Atrocities Act. After examining the contents of the complaint and other material on record, the Hon’ble High Court came to the conclusion that no offence under the Prevention of Atrocities Act is made out. And that the application for grant of Anticipatory Bail is therefore, maintainable. deceived the complainant and thereby committed the offence. The accused filed petition U/s 482 Cr.P.C. for quashing the proceedings. Feeling aggrieved, complainant filed an appeal in the Hon’ble Supreme Court. to arbitration in an agreement cannot be a substitute for a criminal prosecution. in the agreement for referring the disputes to arbitration, bars criminal proceedings? prosecution when the offences of cheating and fraud are alleged. effective substitute for a criminal prosecution when the disputed act is an offence. complainant of the new FIR. 506 read with Section 149 of IPC. The investigation was still pending. Rathnamma. At the intervention of the persons named in the FIR, they were saved. actuated with malice and as a counterblast to the complaint lodged by the first petitioner. out in the complaint of Rathnamma is false and liable to be quashed. quashed on the ground of falsity of facts. stage whether the averments in the FIR of Crime No. 172/2000 is false or otherwise. Cr.P.C. Fifth was the version given in the deposition of another witness Jit Singh. others; therefore, it would be unsafe to rely on such versions. recorded in the Dying Declaration. deposition given in the Court. informant by name Bishna Mathur was also staying in the house at the relevant time. The accused was engaged as servant at their house about six months earlier. open the door as the accused Raja (alias name of accused) was upto some mischief. repeatedly and thereafter left the spot. the neighbours gathered and took her and her injured husband to ONGC hospital. Husband was declared dead at the hospital. Rama Khanna was given first aid and then she was dropped back at the house. to ONGC hospital and X-ray of her wrist was taken and she was treated for her fracture. arrested. After completion of investigation the charge-sheet was filed. and confirmed the death sentence. version mentioned in FIR, make the whole version doubtful? Thaman Kumar v/s State of Union Territory of Chandigah 2003 Cri.L.J. 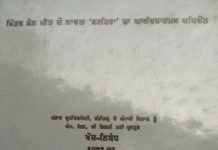 Des Raj Taneja v/s State of Punjab 2000 Cri.L.J.3393. Chittappa & others v/s The State, 2001 Cri.L.J.3555.